Dr. Vijay Ram is an award-winning cognitive scientist, best-selling author of the book “Clarity on Demand” and the developer of the RAMIC clarity process. Dr. Ram’s book teaches a ground-breaking new method for people to gain clarity about their life decisions. Clarity on Demand: 3 Keys to Mental and Emotional Clarity was named a #1 best-seller on Amazon upon its release. Cognitive Scientist Dr. Vijay Ram was recently interviewed on KOB network discussing ways that people can conquer writer’s block. 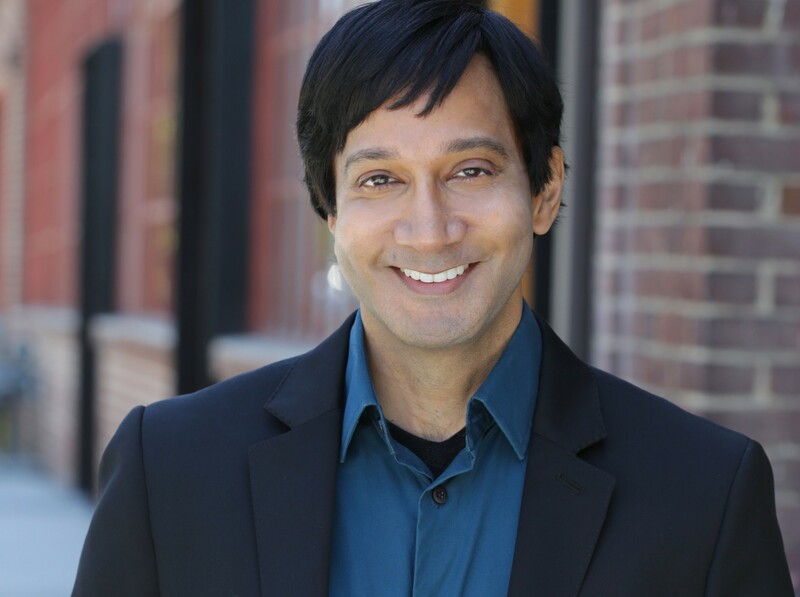 Dr. Vijay Ram is an award-winning cognitive scientist, best-selling author of the book “Clarity on Demand” and the developer of the RAMIC clarity process. Dr. Ram wrote a book that teaches a ground-breaking new method for people to gain clarity about their life decisions earlier this year. Clarity on Demand: 3 Keys to Mental and Emotional Clarity was named a #1 best-seller on Amazon upon its release and reached #1 in several categories including Brain Diseases, Social Science Methodology and Cognitive Neuroscience & Cognitive Neuropsychology. Dr. Ram describes in his #1 best-selling book, Clarity on Demand: 3 Keys to Mental and Emotional Clarity, 3 key skills that help you achieve a state of clarity: awareness, expression and memory. By understanding what they are and how they work to create clarity, one can improve their ability to deal with complex emotions, think through elusive problems and make decisions confidently. Dr. Ram shares his own search for clarity and clear thinking while growing up and how a personal discovery involving small wooden blocks allowed him to fundamentally change the way he could express, store and react to thoughts. In the book he discusses issues such as: misconceptions people have about thinking, how to remove emotional blocks and how to look at issues objectively. Dr. Vijay Ram is cognitive scientist who specializes in the area of clarity and clear thinking. He is the developer of the RAMIC process which he uses to help creatives from all walks of life eliminate mental and creative blocks as well as achieve peak levels of clear thinking. His research background spans the areas audiologic perception, neural modeling, brain neurology, cognitive processing and skill acquisition. His research on the RAMIC process includes work on feature prominence, comparative analysis with Sand Tray therapy, testing on information representation, studies on visual memory, measurement of speech disfluencies, work on interrupt recovery and exploring the effects on neurocognitive conditions such as ADHD. He holds 5 degrees, 4 of which are from UC Berkeley and is a visiting research scientist at the University of California. The book Clarity on Demand: 3 Keys to Mental and Emotional Clarity is available online at: https://www.amazon.com/Clarity-Demand-Keys-Mental-Emotional-ebook/dp/B07DD8TZ1H.